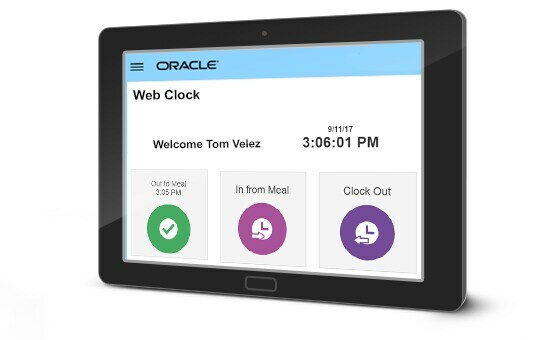 Optimize the accuracy, efficiency and effectiveness of your time collection to payroll process by using mobile, social, analytics and the cloud. Manage business risk by proactively monitoring time and attendance. Free up your staff to focus on more strategic business initiatives with exception-based time processing and calculations. 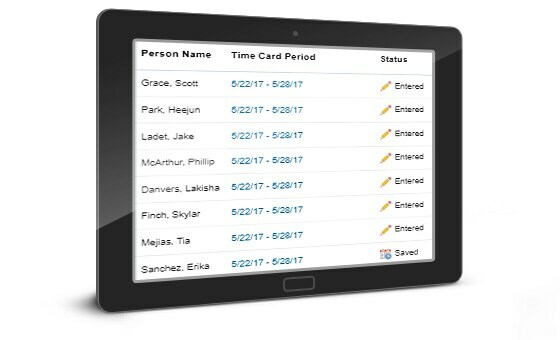 Capture time through various online methods or collection devices. Monitor time entries, statuses and processes via different calendar views. 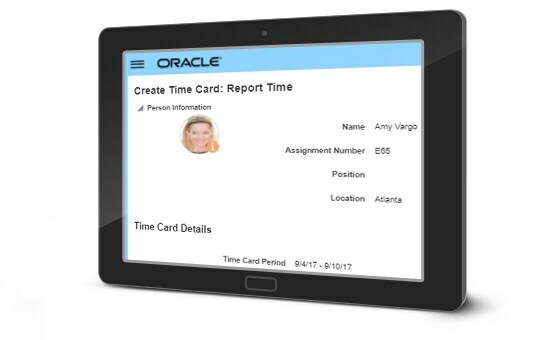 Execute rule-based time processing and calculation such as overtime, shift differentials and other premiums. 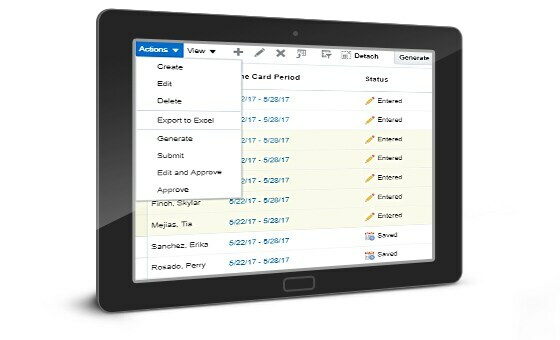 Manage approval of time entered by individuals or groups. Approve everything or only exceptions. Transfer time to payroll, projects, or any third-party application as appropriate.